This waffle crusted chicken is an “entree” recipe entry in the So Delicious Dairy Free 3-Course Recipe Contest, submitted by reader Lily Julow. 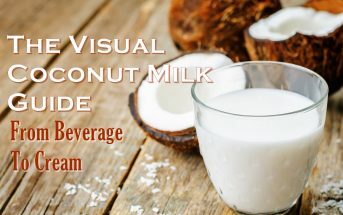 For the batter, Lily uses Unsweetened Protein-Plus AlmondMilk or Coconut Milk Beverage from So Delicious. 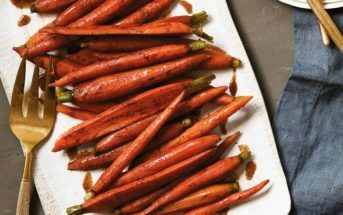 By ingredients, this recipe is dairy-free / non-dairy, peanut-free, soy-free, and tree nut-free. 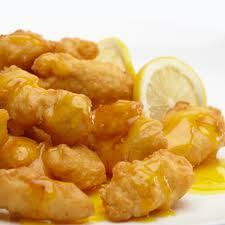 Use caution when selecting your oil for frying, avoiding vegetable oil if you require soy-free. Canola, avocado or rice bran oil are good high-heat options. 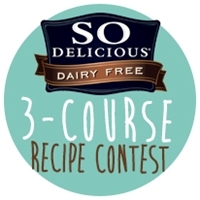 This recipe was submitted by Lily Julow, for entry in the Go Dairy Free - So Delicious 3-Course Dairy-Free Recipe Contest. Pat chicken dry with paper towels and salt and pepper them on both sides. Put egg yolk in a large bowl. Reserve the egg white in a small bowl. Melt the coconut oil in a small saucepan and remove from heat to cool slightly. While it’s cooling, whisk the egg yolk and milk beverage together, then add the cooled melted oil, flour, baking powder, honey, and salt. Whisk together until just barely combined; some lumps may remain. Beat the egg white by hand or with an electric mixer until peaks form. Gently fold the egg white into the batter with a spatula. Heat oil in a large heavy skillet. Dip chicken pieces one by one in the waffle batter to cover both sides and add to skillet. Continue with remaining chicken pieces and batter, in batches if necessary. Cook 4 to 5 minutes on each side or until golden brown. Serve hot with extra honey if desired. * For quick release, spray measure spoon lightly with cooking spray before measuring honey.